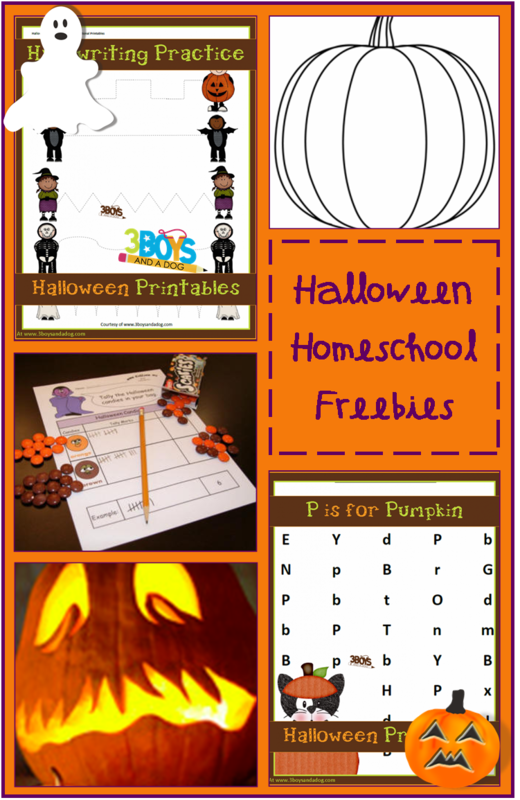 You are here: Home / educational ideas / Halloween Homeschooling Freebies by subject! What an amazing list of resources! Fab list of links! Thank you! The “bored” statement, often means “help me find something fun to do…” Great list of “to do” ideas. What a great list of things! Thank you! What a fun post! I’m back to let you know that you were the #2 most clicked link in Homeschooling on the Cheap! this past week. Thank you for sharing with us each week! Love your ideas. Kelli recently posted..More Magazine only $4.29 per year! What a list of resources. Thank you for all of the FREE links! At waddleeahchaa.com we share FREE learning printables and FREE printable books. Each week we highlight and GIVEAWAY great children’s literature. This week we’re highlighting fall and next week we’ll focus on Halloween. We have FREE printable recipe guides for children including EASY pumpkin muffins. We love this a lot! Thanks again for sharing it in Homeschooling in the Cheap! Your post was one of our top clicked post! Keep on rockin’ your great ideas. Here is your feature and the new linky is up and running. We can’t wait to see what ideas you share this week!